An infant was hospitalized after getting hurt during a domestic argument early Monday morning, Raleigh Police Department said. 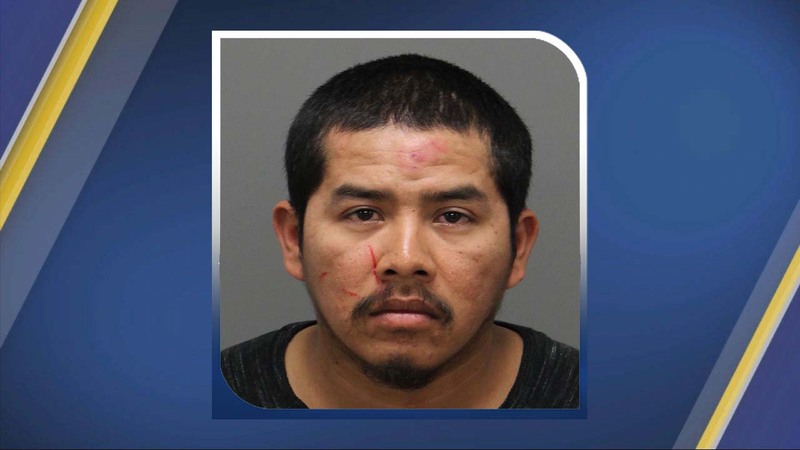 RALEIGH (WTVD) -- An infant was hospitalized after getting hurt during a domestic argument early Monday morning, Raleigh Police Department said. The incident happened before 1 a.m. at Cedar Point Apartments on Sandy Forks Road near Suburban Drive. Investigators said the baby's father, Jose Luis Cordero-Jimenez, 27, got into a fight with the infant's mother. The mother was holding the infant during the fight. Twice during the fight, the infant fell to the floor, according to investigators. The child was taken to the hospital with injuries to his head and face. He is expected to recover. Cordero-Jimenez faces charges of child abuse and assault. If you or someone you know if a victim of domestic violence seek help. More information can be found on The National Domestic Violence Hotline's website.